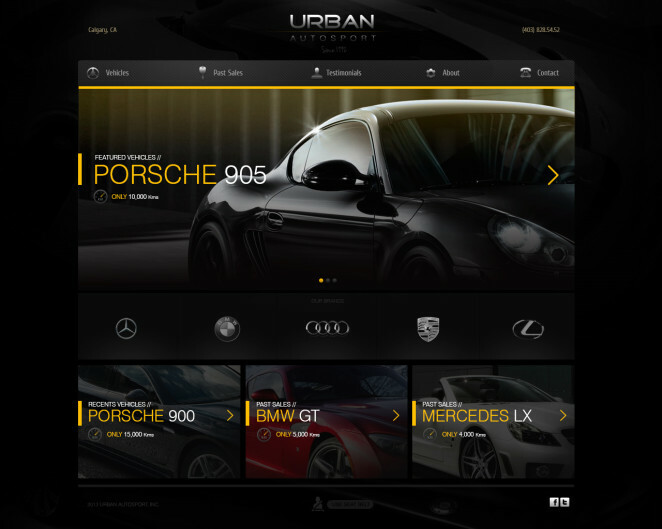 Luxury vehicle seller Urban Auto Sport came to Shockdav with an outdated website that wasn’t achieving their marketing goals. They wanted a new responsive website design that would help them generate more leads and sales. The problem was that they only had up to five cars to sell each month. To prevent their new site from appearing empty, we decided to showcase both their current and past cars. We also designed a new logo, built a custom content management system (CMS) that would allow them to easily add and edit car descriptions, and optimized their responsive website for search engines to ensure that their car descriptions could easily be found in Google. The new site gives visitors a strong first impression and a sense of the vehicles’ luxury and quality.